﻿ Download songs and playlist from 22tracks.com to MP3, M4A, WMA, AAC. How can I download songs from 22tracks.com to MP3, M4A, WMA, AAC? Free download Bigasoft 22tracks Music Downloader to download high quality songs from 22tracks, SoundCloud, Spotify, VEVO, Deezer, Pandora, Facebook and more. 22tracks provides the best undiscovered and underground music in 12 different music styles. It is easy to discover, share new music and stay up to date with your playlist. Sometimes, you may prefer to enjoy music from 22tracks offline without the need of an internet connection every time. Therefore, in order to download 22tracks music in high quality, a workable 22tracks Music Downloader comes as necessity. 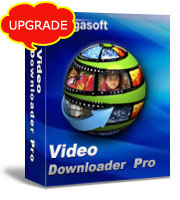 Bigasoft Video Downloader Pro is a top ranked online music downloader which supports more than 1000 video or audio sites. With this music downloader, you will be able to directly download music from 22tracks and similar music sites, like SoundCloud, Spotify, VEVO, Pandora, Deezer, Bandcamp, Facebook, Audiomack and more. Firstly, free download and install this ideal 22tracks music downloader - Bigasoft Video Downloader Pro. Both the Windows and Mac versions are totally clean and safe. No plug-in added. Download 22tracks music and even playlist in batch at up to 10x normal speeds. Save downloaded 22tracks audio to any format you desired, including MP3, AIFF, AAC, WMA, WAV, AC3, etc. Multiple presets for smart TVs, phones, tablets, CD and DVD players. Extract or rip audio part from any online or local videos easily. Easy to import downloaded or ripped 22tracks audio part to video edit tools, like iMovie, QuickTime, Final Cut Pro, Sony Vegas, Adobe Premiere, etc. Manage downloading: Easy to add, remove, pause or resume 22tracks downloadings at any time. Record DRM protected M4P and other audio files with build-in media recorder. Go to 22tracks.com and copy the URL of the music or playlist which you want to download, and then paste it to the URL box on the Download panel of Bigasoft 22tracks Music Downloader. Click "Save Folder" button to choose the destination folder for the downloaded 22tracks songs. Bigasoft Video Downloader Pro will download 22tracks song directly and save 22tracks music in its original format to avoid losing quality. If you would like to save it to certain format for your player, just be sure that the "Automatically Convert to" option is checked, and then click the drop-down button on the right side of the "Automatically Convert to" to select you desired audio format. Click "Download" button to start the 22tracks music downloading. From Activity panel, you can check the downloading process. After a few minutes, the 22tracks songs will be downloaded to destination path. Besides downloading online music, Bigasoft Video Downloader Pro also allows you to download online videos to local disk from more than 1000 video sites. Download and launch this ideal 22tracks Music Downloader to enjoy any online media without being connected to the internet.